AidData. (2017). 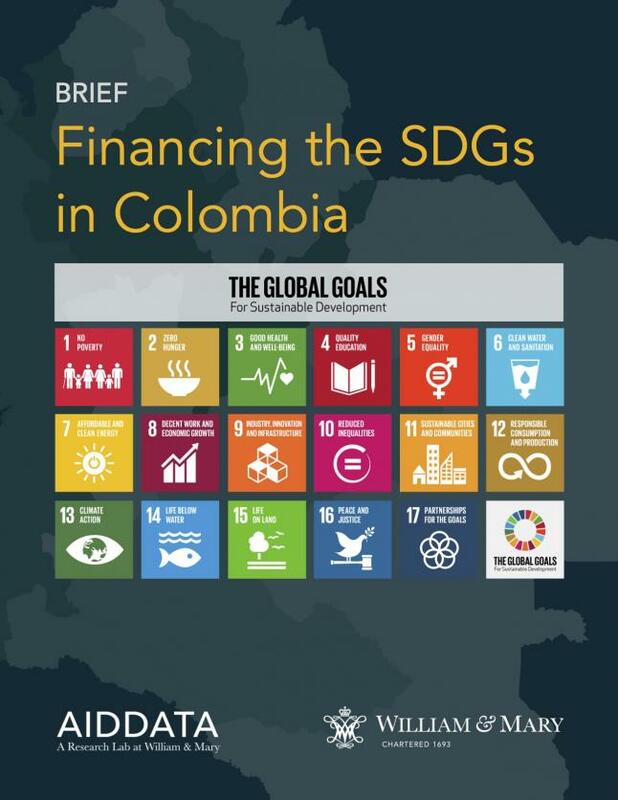 Financing the SDGs in Colombia. Williamsburg, VA: AidData at William & Mary. Achieving the Sustainable Development Goals (SDGs) requires mobilizing resources from a variety of sources, including international partners, domestic budgets, foundations and philanthropy, as well as the private sector. Knowing where this money is going is key to helping policymakers make smarter choices and steer resources to priority areas. 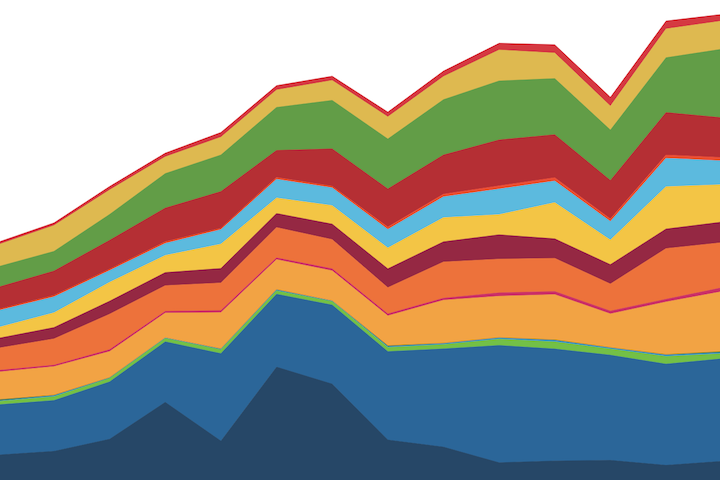 However, data on development financing rarely incorporate all of these sources. To gain a clearer picture of SDG funding, AidData is launching a cutting-edge pilot in Colombia that will track, integrate, visualize and disseminate all-source financing for the SDGs, allowing decision makers to view progress on financing sustainable development from multiple angles. For each data source, information is provided on historical levels of funding for the SDGs, which SDGs received the most funding, and how top donors allocated funds by SDG. Also featured are spotlights on education (Goal 4) and industry, innovation and infrastructure (Goal 9) for a deeper dive into these areas of particular interest to Colombia. Finally, the brief introduces a pilot index developed by AidData that identifies pockets of social vulnerability at the subnational level in Colombia. This Social Vulnerability Index (SVI) is then overlaid with geocoded aid information to examine if aid projects and dollars are being concentrated in the most vulnerable areas. How do the global goals crowd in international financing and inform domestic priorities? 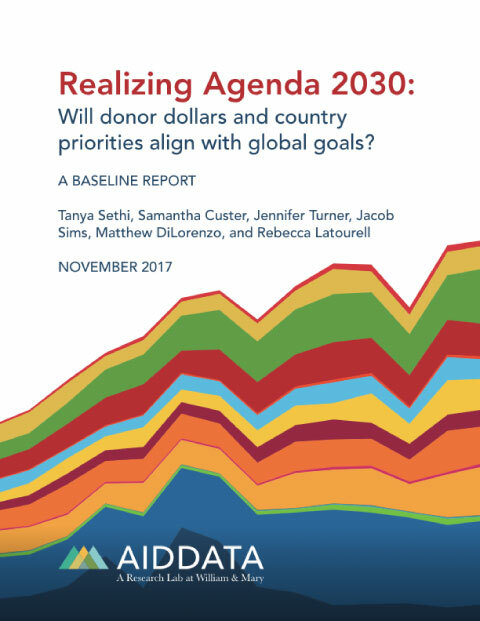 A new AidData report assesses the historical baseline for funding to the SDGs.